Bernie Sanders has slammed the liberal think tank, Center for American Progress. On it’s website Thinkprogress, it ridicules Sanders as a fake progressive. It cites his lack of a haircut and rumpled clothes and hiding his personal wealth. Sanders says it also has attacked Warren as a fake Indian and also Booker. I’m not sure what they said about Booker. CAP appears to be a Clinton front. It’s headed by John Podesta and has other officers who formerly worked for Hillary. go after each other, and hopefully tear each other a part. Without Trump in there, this wouldn’t be happening. So, I’m definitely glad that he’s President! Babes in the woods like Buttigieg and O’Rourk don’t stand a chance against the professional liberal wolves. ultimately it’s only going to split their party and hurt them. So, I welcome it. lol. I don’t think the large field was planned by anyone. I think the individual candidates think Trump is vulnerable and they’re entering the race hoping they can win the lottery. Anyway, it’ll be fun to watch. I’m not sure if he can be beat or not. We’ll never know until the election. Being smug and sure was the mistake the Dems made in 2016.
true. Let’s just say I wouldn’t bet against Trump. 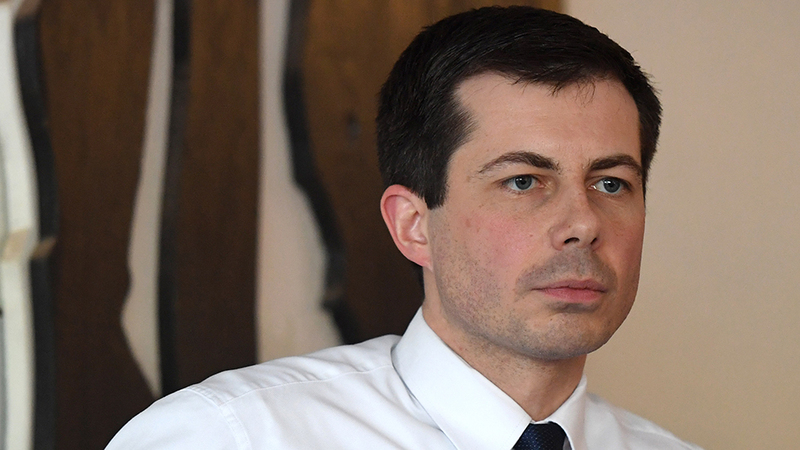 Looks like they are already starting on Buttigieg - claims of city racism under his watch. Beto is already shriveling on the vine. He’s polling 5th or 6th. They might not need to go after him. If he surges again, you can bet they will. Liberals? I thought they were socialists! Pick an insult and stick with it, please! Well…that’s asking too much, when it’s such a target rich environment. lol. This is why Democrat Politicians keep losing overall. They don’t stand for nothing, and they have very little strategy. lol. that they preach about. If they lose those, then they’re screwed in general. You have to admit that going after Sanders’ slovenly appearance is funny. If Hillary is behind this she’s showing more imagination than I’ve ever seen her show. and has shown that she can’t win. That’s why it’s so funny to watch the Dem politicians fight amongst themselves. lol. Why wouldn’t they want her back? I mean, she only lost because Trump colluded with Russia to steal her victory. Not very nice of Democrats to abandon her after that. It’s not her fault Russians stole the election with facebook ads and hacked emails amiright?